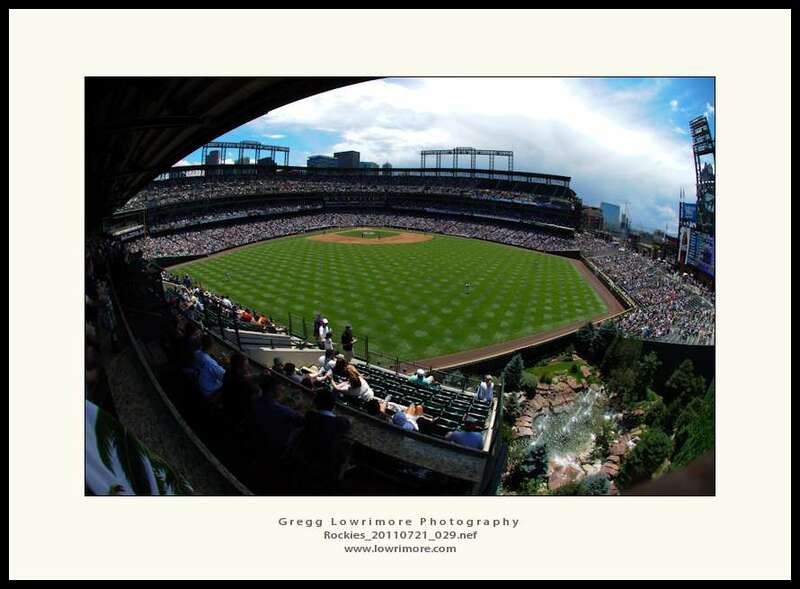 Today was my company’s day at the Rockies Baseball game versus the Atlanta Braves — in the 95-degree sun! Ouch! So after a few innings, I ventured out to deep center field with my camera and a rented Nikkor 10.5 fisheye lens. Here’s the view from within the new Camarena Bar out in the centerfield. Pretty sweet view I must say! Oh and I love this lens!! Posted in Concert, General and tagged baseball, Camarena Bar, colorado, fisheye, Rockies by greggl with 1 comment.